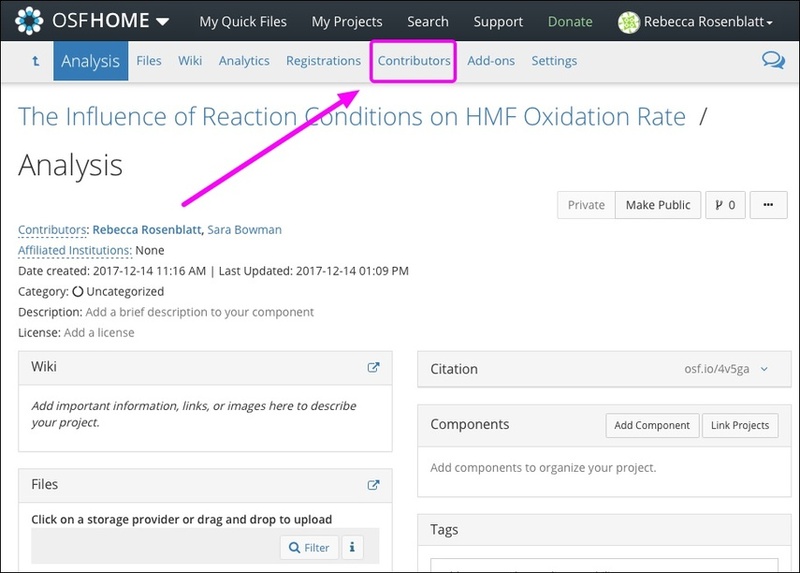 You can use the import feature to quickly add contributors from a parent project to one of its child components. You must be an administrator on the component in order to import contributors. You can only import contributors from a parent project into a child component. Importing contributors between different projects is not currently supported. Open the component into which you want to import contributors from the parent project. 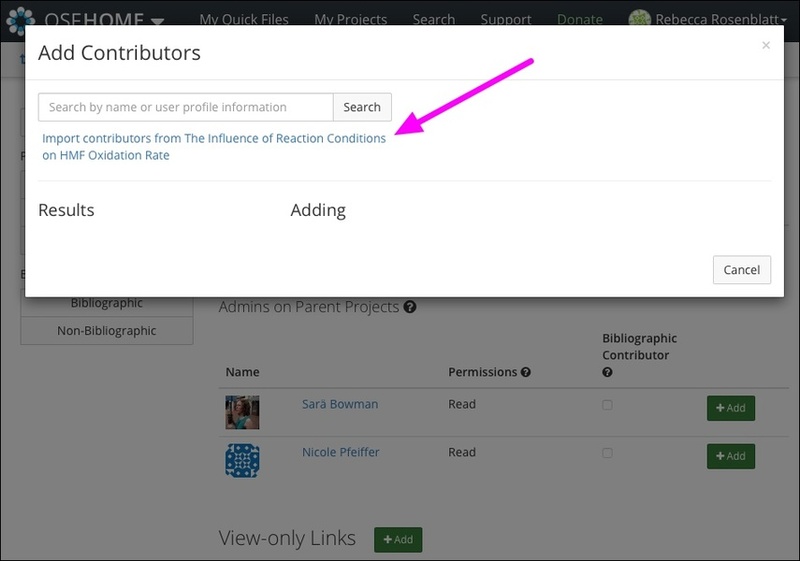 Then click the Contributors tab in the navigation bar. The "Contributors" page will appear. 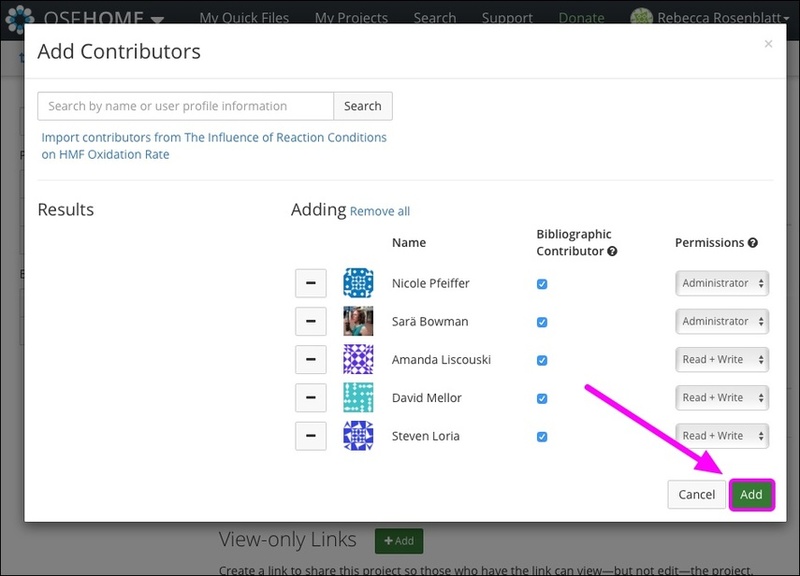 Click the green + Add button next to the "Contributors" header at the top of the page. The "Add Contributors" modal will appear. 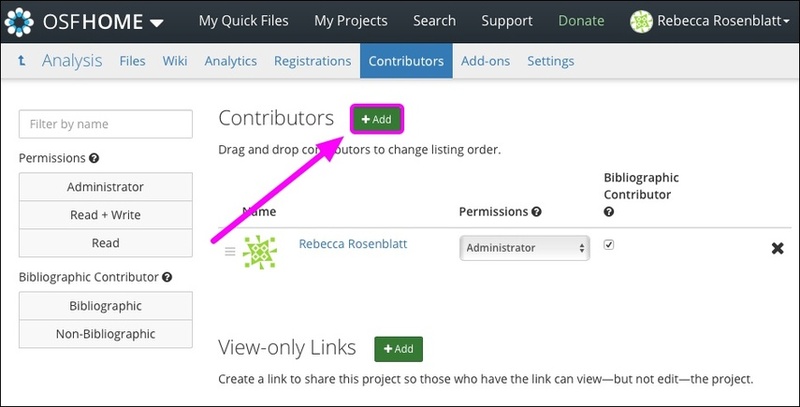 Next, click the Import contributors link below the search field. All contributors from the parent project will appear on the right side of the modal. Bibliographic status and permissions will also be imported. You can modify these settings now or after the contributors have been imported into the component. To exclude any contributor from being imported, click the minus sign to the left of their name. Then click the green Add button. 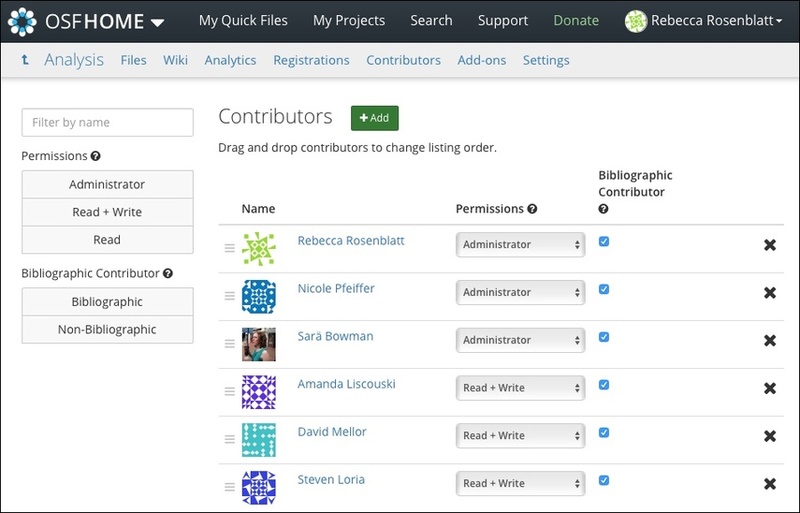 The contributors from the parent project will be added to the component.